Join us for an evening of meditation, walking meditation, and a dharma talk on buddhist philosophy in a welcoming and supportive atmosphere. This is an opportunity to touch into our innate clarity, compassion, and wisdom through both study and practice. 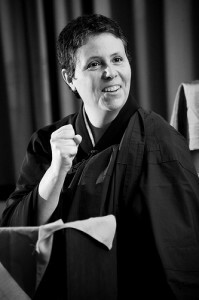 This evening’s dharma talk will be led by Myoko Sensei. Join us at any time between zazen (meditation) periods and kinhin (walking meditation).